Let Veritiv® shine the spotlight on the best pressure sensitive paper solutions for you— Showcase™ Digital. This Showcase Digital Sample Pack includes 5 sheets of our Matte White Digital Vinyl that you can test on either HP Indigo or dry toner/laser digital printing presses. 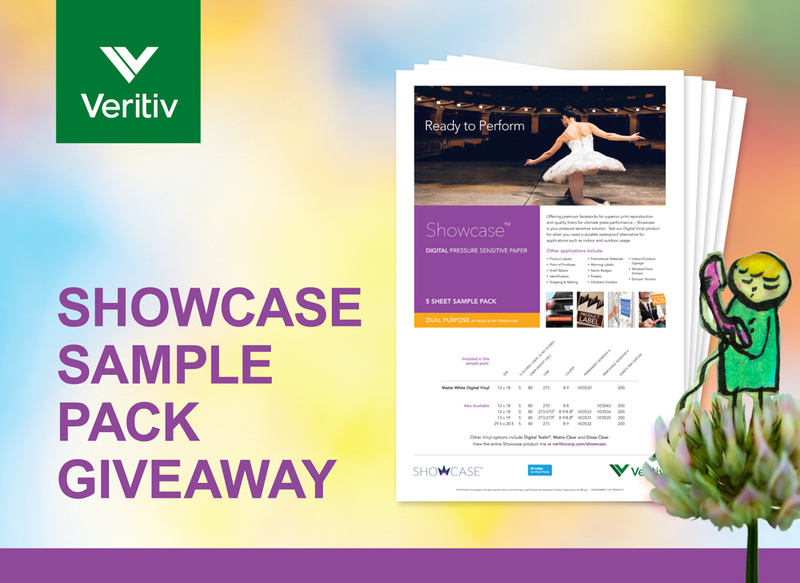 Discover the whole Showcase product line – including more digital and offset products at veritivcorp.com/showcase. Yes, send me Veritiv news and updates via email. Thank you for your interest in Veritiv print private brands. © 2019 Veritiv Corporation. All rights reserved. Veritiv and the Veritiv logo are registered trademarks of Veritiv Corporation or its affiliates. Showcase and the Showcase logo are trademenrks of Veritiv Corporation or its affiliates.